Simplicity is what these Street Tanks are all about. A perfect top for early morning lunges or late night lounging. Our Machina Street Tank will not get in your way or slow you down. Sweat friendly, sweatshop free. No grand statement of purpose here. One simple diamond says it all. These flowy muscle tanks are perfect for warm Summer days or layering on a cool day. 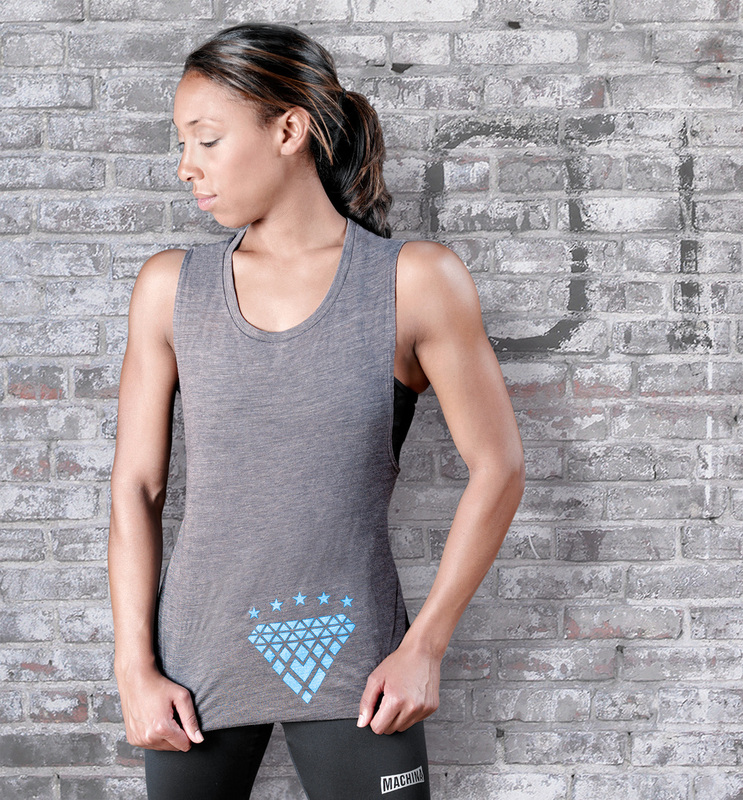 Of course the Street Tank is great for the gym with its wide open arm holes. Read all the Street Tank reviews below. Machina Street Tanks are midway between form-fitting and loose. Machina Street Tanks are produced with a dynamic fabric made of 50% polyester, 25% combed and ring-spun cotton and 25% rayon. To preserve fabric quality we recommend washing gently in warm water and either dry flat or tumble dry on low heat. Not yet reviewed. Be the first to write a review for others.